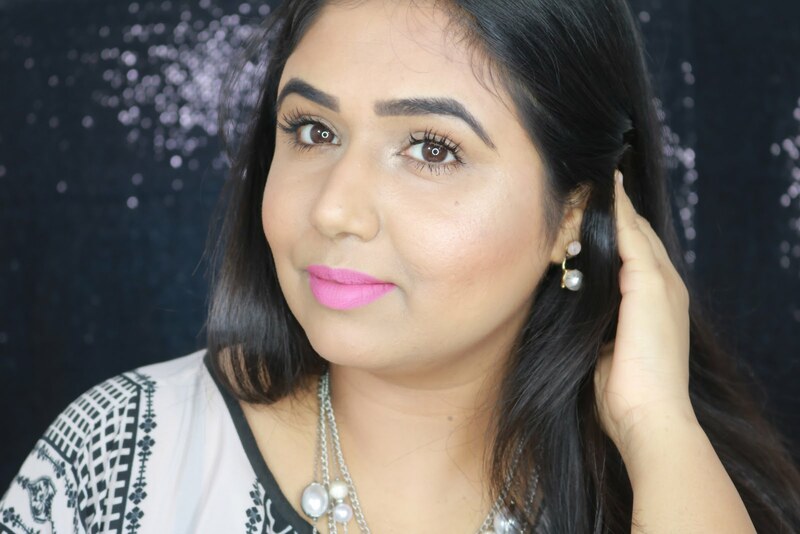 I am loving matte lipsticks a lot these day..you must have guessed from the MAC Retro Matte haul which I posted last week! Another beauty which I have been wearing constantly since last 3 weeks is Elianto Berry Matte Lipstick in the shade 04. I got this while I was in KL and I remember I got it because I thought it was a good dupe for MAC Mehr which unfortunately is not available in Malaysia. Shade:- The shade 04 is gorgeous dusky cool toned pink with mauve undertones. The shade is very similar to MAC Mehr but Mehr is much warmer. The texture is as mentioned in the name matte and glides on beautifully! Its creamy and yet feels light weight on lips. The texture reminds me of Lakme Absolute Matte lipsticks which are one of my favorite for their formula. Even though its matte its quite moisturizing and does not feel dry and flaky on lips. It stays on me for 4 hours which is decent. Love the formula and how light weight it feels on the lips. Has mild fragrance which fades away in a while. It does not stain lips so girls rejoice if you love long wearing lipsticks which do not stain! this is very similar to a Rimmel matte I have… but it looks so nice and natural na. I'm sure its your office ka go-to! yup love it for office!